Picture the scene. You’re warm, relaxed and superbly comfortable. You’re lying in the lap of luxury – staying in a unique and beautiful place and waking up to stunning panoramic views over the rolling Northumbrian countryside. 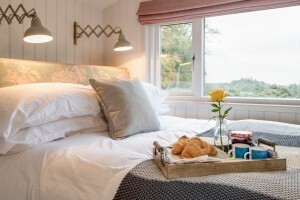 The whole glorious day stretches ahead – and there are so many wonderful ways to spend it here at Beacon Hill Farm – whether you’re holidaying in one of the lovely cottages here or you’ve escaped with someone special to a luxuriously romantic Shepherds Hut. You could explore the great outdoors – or you could chill out in the spa. The sumptuous spa, gym and beauty salon at Beacon Hill Farm – complimentary for guests – has been the hub of this exceptional holiday facility for many years and it’s now undergone a major revamp for 2019. A new entrance offers more space for guests, whilst smart, new flooring, paintwork, showers, furniture and curtains now offer a more contemporary look throughout. Swimmers and jacuzzi users will love the latest plants and wonderful, atmospheric lighting around the pool. Smart new kitchen units in this area allow guests to help themselves to complimentary teas, coffees and cold drinks at any time. All areas of the Beacon Hill Spa – including the well-equipped gym, pool area, sauna, steam room, changing rooms, beauty salon and relaxation rooms have been given a fabulous facelift for the future! A full range of beauty treatments are available here every day, as well as deluxe pamper days. As well as all this, in the Laconium Spa Room you’ll find heated body form beds, imported from Baden Baden with gorgeous views across the garden. Lie on the beds and heat permeates the body inducing a feeling of deep relaxation. The room is bathed in aromatherapy oil and soothing music often sends guests into a deep relaxing sleep. 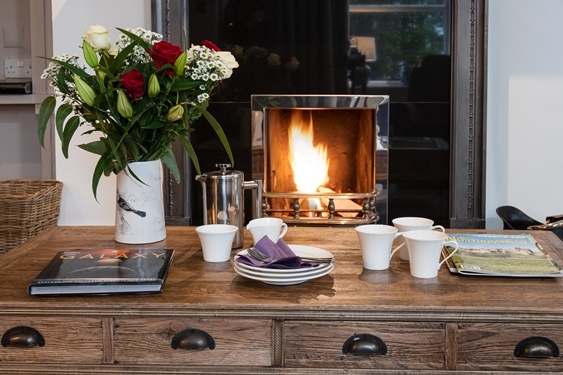 As for your accommodation at Beacon Hill Farm, it is second to none. You’ll be staying in a beautifully maintained, private 360 acre country estate in the foothills of the Cheviots. 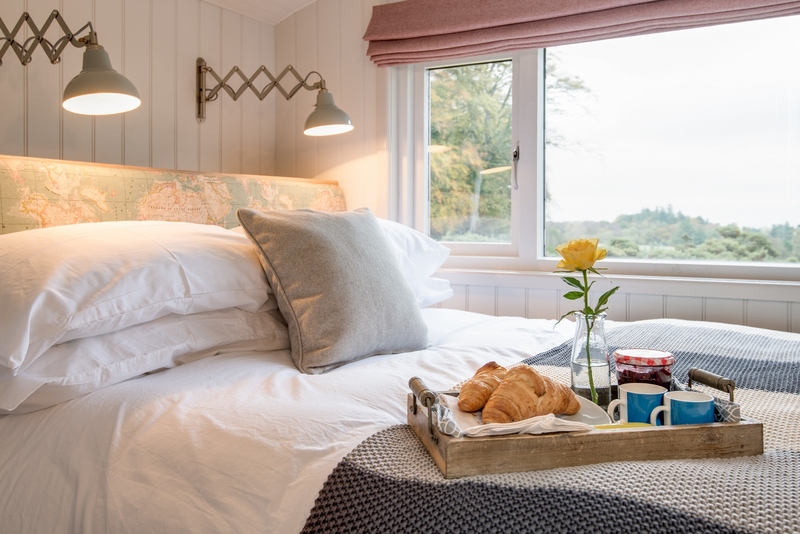 Choose from one of 15 luxury self-catering cottages sleeping two to six people – or alternatively enjoy an idyllic time for two in one of three deliciously warm and totally exquisite shepherds’ huts. All properties offer the same quality approach to furnishing and decoration throughout. Everywhere you will find good books, comfortable seating and a great sense of style. And it will be warm! You’ll find everywhere is exceptionally well equipped with Wi-Fi, Sky television, radios, music systems, logs, coal and modern kitchen equipment. As well as the spa, you’ll find numerous other ways to pass the time here. 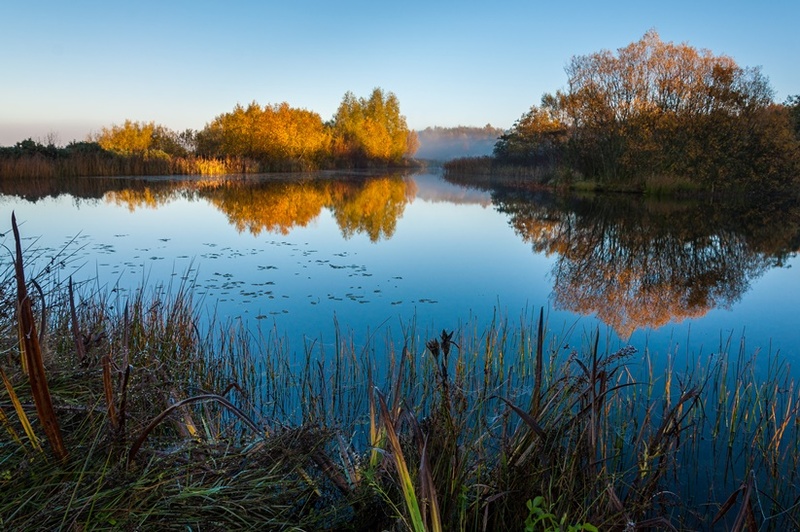 At Beacon Hill you are surrounded by acres of wonderful, dense beech woodland where you can often glimpse red squirrels, badgers, foxes, roe deer, and a huge variety of birds seldom seen elsewhere in the UK. The place is a true haven for all who enjoy the English countryside and the great outdoors. And Beacon Hill Farm even has its very own high tech, purpose-built, night sky observatory – for the exclusive use of guests – and complimentary . A large area of Northumberland has been officially designated as the best place in Europe to see the stars due to its incredibly dark skies. As Beacon Hill is set high on the edge of this area and its panoramic daytime views turn gradually to dense, black nights, it’s truly a star gazer’s paradise. 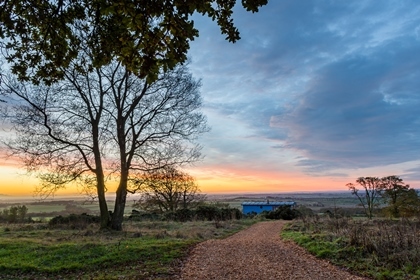 The Beacon Hill Observatory is located very close to the cottages down a well-lit path and has a sliding roof which leaves the starry night skies wide open above. Sky maps, simple instructions and information boards line the walls. In addition, for super-active guests, there are tennis courts, a football pitch, large trampoline, cricket nets and seasonal croquet lawn; a play barn providing slides, swings, climbing nets, tower and climbing wall, while an adjoining games room offers pool, table tennis, table football and air hockey – all free of charge. Everything is designed to make time spent here totally perfect for all. You’ll never want to leave! And if you do, you’re likely to be booking up again as soon as you hit home.